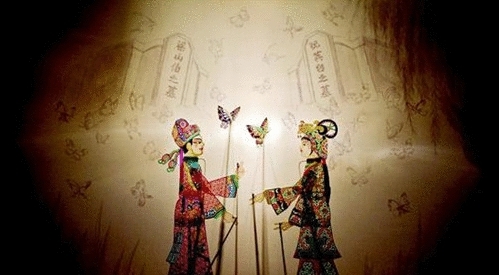 The art of Chinese Shadow Puppets is not only a unique artistic type which ingenious combines with folk art and drama, but also an indispensable part in Chinese Arts Center. Chinese shadow puppets is a fascinating folk art rooted deep in the history of China dates back to over two thousand years ago. It brings wonderment from children to elders, keeps them in their seats to capture what comes next. But how does shadow puppets become such a localized and cherished art form? How are such beautiful puppets made? And how does modern culture affects this traditional art? In this article, I will answer all of these questions and open the door to an ornate and rich art form. I will go back as far as the Han Dynasty to weave the tale of shadow puppets and their purpose in Chinese culture. I will also delve into the aesthetics and the creative differences of each region of China for the puppets made to paint a screen with life. The performance procedure of past to present will also be presented to give insight into the lives of the troupes that brought the puppets to life. Last but not least, I will discuss how modern arts, technology, and lifestyle affect shadow puppetry community. Editor’s Note: The language of this article is definitely not perfect but the information is very interesting. We appreciate that the writer would share his knowledge and passion. How did they come to be as they are today? During the Han Dynasty, the Emperor Han Wudi fell heartbroken when his beloved concubine suddenly passed. In his mourning, he no longer wished to lead the empire and spiraled. His adviser thought of everything to try and lift his spirits, but it wasn’t until he came across children playing in the courtyard with parasols in the sun that he discovered the cure. The parasols created such elegant and striking shadows upon the ground that were so lifelike, they inspired a passionate idea for the adviser. He invited the Emperor down to the courtyard that night, and he put on a beautiful shadow puppet show with the likeness of the Empress to an amazing degree of detail. 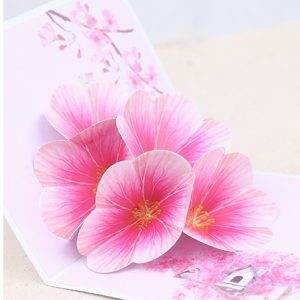 It lifted the Emperor’s spirits and lead him to lead prosperously for multiple years while also bringing the art to a beloved role in the higher class for far longer. While the tale may be just that, it is the first recorded history of the elegant profession that went on to gain such fame. From there it remained for the high class for a number of years before it finally became the people’s art. Due to its simplistic nature, the workers and farmers were able to enjoy its elegance after long days of labor. 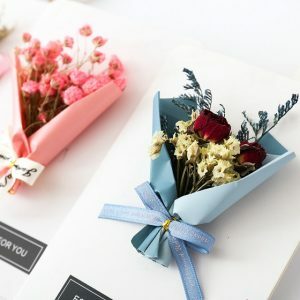 It quickly became beloved by communities all around China, and it was the choice of entertainment for any and all events from birthdays to house raising. Being such a beloved art form, shadow puppetry has survived through many years of strife and change in political control within China during the 20th century. When the Communist Party took control in 1949, there was a silence put over many art forms within the regions – shadow puppetry being no different. During the rule of the Communist Party, troupes were forced to shut down in many provinces and all equipment was burned or left be in more relaxed territories. While it did see the end to many troupes in stricter provinces, one troupe in each less harsh areas were given government mandated scripts. Puppeteers allowed to continue took the scripts with open arms just to keep the art alive with their communities. From this near wipe of the art, came one of the only nationally recognized shadow puppet stories – The Turtle and Crane created by Zhai Yi. This was played often until the ban on most arts was irrelevant in the 1970s, where troupes were allowed more freedom in their shows. Though by then, audiences were minimal which left puppeteers forced to modernize or the performances would die out. Today there are only a few dozen troupes left playing shows for their communities and tourists. With it being a slowly declining with fewer puppeteers and puppet makers left, making a living with it is no longer possible without outside help. Many troupes rely on their community or the government to ensure it doesn’t fully collapse. Each province in China has a unique way of designing their shadow puppets for the lighted stage. From border to border, each puppet resembles the region and what the communities value. With aspects such beauty to honesty, the puppets paint a portrait of their regions through the light with their eloquent designs. With materials such as cowhide to even plastic, with any workable material in between, puppet crafters created such elegant works of art that still are seen today. North Central style – Shaanxi Province, Shanxi Province, and parts of Gansu Province – often used cowhides for their puppets which stood from 12” to 14”. The puppets from the region are well known for their vast details, masterful cutting, and striking profiles of pointed noses, long rounded foreheads, and small higher mouths. Northeastern style– Hebei and Liaoning Provinces – varied slightly from troupe to troupe during different years, but ultimately stayed very similar in the craft. The puppets were made from donkey skin or cowhide and could stand anywhere between 12” to 20” tall. They were known for their straight slanted profiles with strong and bold lines. Western style– Sichuan Province, Chengdu City, Qinghai Province – varies widely from the Sichuan Province to the capital city of Chengdu. Sichuan is known for the overbite profile and distinct joint engineering. They are also more akin to the North Central region puppets with their beautiful and great detail. Though the Chengdu puppets are some of the largest in China with stunning detail that could be seen farther as well as removable accessories to match the grandeur. 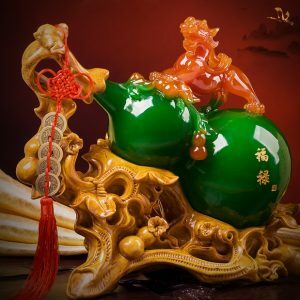 Southwestern style– Yunnan Province – is one of the younger aesthetics from the art form, only dating back to nearly six hundred years ago. The puppets are known for their bold and pleasing looks behind the screen and light. The thicker material of water buffalo or cowhide brought larger and courser puppets with thick lines and features. They are also one of the few puppets with stunning colors that are still made with mineral pigments and bone glue to this day. Central style – Hubei and Hunan Province – is known for the very unique characteristics of the profile and materials used to create the puppets. Unlike the other styles, the face is turned at a 3/4th angle instead of the 90 degrees seen with other styles. Puppets from this region are often made from wax paper or colored plastic for both religious and economic reasons. With the puppets being made out of plastic they are easier to clean and keep for longer amounts of time than leather which needs special treatments to preserve for continued use. Southeastern style – Jiangxi, Zhejiang, Fujian Province, and Taiwan – has had very little influence within the art of shadow puppetry. Though what did exist was more modern with no cuts except the outline into the leather. All the art and beauty of the style was in the painting on the leather itself. It was portrayed for main performance instead of distractingly detailed puppets. While each style may be different, the craftsmanship and work put into each puppet is filled with care and precision that takes many years of hard work to master. Each piece, even with stencils can be a large amount of time dedicated to ensuring a beautiful finished product. Most tools for the work are the same except for the variety of materials. Such tools are; knives (mainly sharp exact style knives), leather punches, a wooden stick or mallet, a wooden or a beeswax board, a sharpening stone, pressing stones for the hide, a wet cloth, and rulers with both straight and curved edges. Pigments once were very limited in range, mainly consisting of localized minerals that were harder to work with. Nowadays many pigments are often watercolors sealed with an adhesive to ensure it doesn’t bleed and will keep for many shows to come. Nowadays, there are very few craftsmen left with even fewer apprentices to carry on the traditions another generation. This has lead to a popularization of laser cut puppets that can be made fast and sold to tourists for consumer profit instead of being made for the show. Laser cut puppets are often lesser quality with more rounded cuts unlike the fine sharp cuts of a handmade piece. Though, unless you are inspecting closely at the varying elements of the puppet, it is hard to tell the difference directly between a hand and a laser carved puppet unless trained to do so. How do shadow puppet troupes bring simple leather to life? Shadow puppets have always been performed in troupes of multiple people in the past. There was often one to two puppeteers controlling all the puppets, a singer to voice every character, and multiple musicians to play in the background. With today’s technology, troupes can be just a singular person behind the screen with a soundtrack playing back the accompanying music. The music has always been the backbone of the art with it ranging from opera to whatever style was needed for the performance. There was always at least one singer, a percussion instrument, and a stringed instrument within every show. The show itself can be performed at all times of day, but it is often preferable at night so there is only a singular light source creating the dancing shadows. The set up lies behind a white screen with a bright light focused on it within a black stage box that resembles a propped up tent. All musicians and puppeteers alike sit within the box to bring the show to life with minimal distractions in the forefront besides the moving puppets. Shadow puppetry may be a wonderfully beautiful art that brings a feeling of whimsy to the audience, but it is also on its last legs in the modern world. With fewer and fewer crafters left to continue making extraordinary puppets by hand, and even fewer apprentices learning to continue it, the process is beginning to be lost in time. It is especially so since the craft takes so many years to master the incredible detail that goes into the puppets. There are also just as few troupes that continue to put on shows for the audiences willing to watch. Those around still demonstrating the fascinating art show are unable to make a living off of it unless helped with such factors as regional economics or strong religious ties that put a damper on all other art forms. UNESCO has declared shadow puppetry to the Intangible Cultural Heritage list in 2011 to try and preserve the art form, but they have done little to show how they plan to do that. They have only offered to pay two members way of any troupe to take care of the immediate issues of making a living. However, most troupe members work hard together which brings to question why not pay for a whole troupe instead of just a few members? Chinese shadow puppetry is a gorgeous art form in its right with an amazing variety of story and a rich history with its people. It has blown me away the amount of detail that goes into the puppets from all regions and the stories they paint behind a lighted screen.